Which country was the first to use paper as money? The first bank notes were printed on paper nearly 1,400 years ago in China, during the Tang Dynasty. At first they were used for exchanges between merchants but later the central government soon observed the economic advantages of printing paper money. As the government began to aggressively operate the wood block printing presses, this resulted in the world’s first case of hyperinflation. 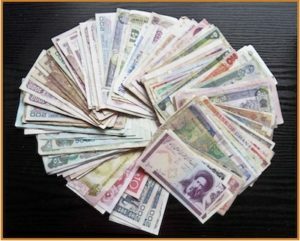 At the end of the 12th century a Chinese historian, Ma Twan-lin, remarked that, “Paper should never be actually used as value itself but only employed as a representation of the value of all the existing precious metals that can back it up.” This was the first recorded economic realization of the true meaning of the role of paper money.